What do Illinois, Maryland, Florida, Louisiana, Tennessee, Virginia and North Carolina have in common? More than 100 Wake Forest students spent their spring break hard at work in these states in the spirit of Pro Humanitate. In less than five years, Wake Alternative Break (WAB) has doubled its service trips from five service sites to 10. 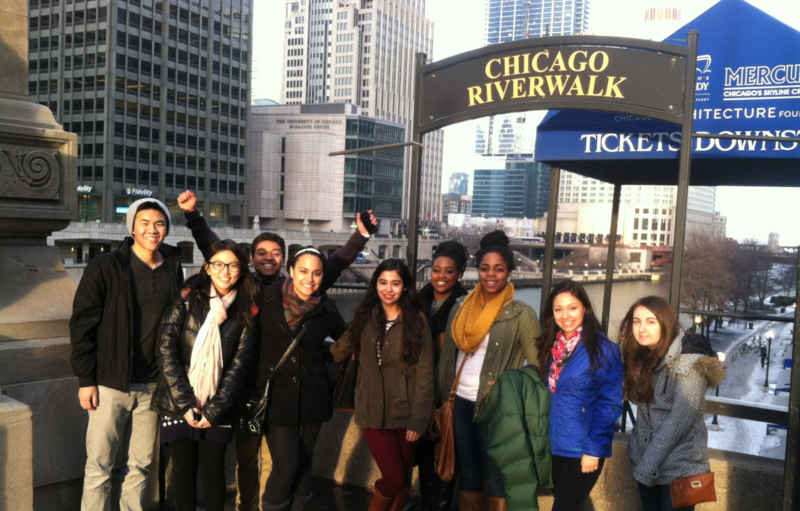 This extreme growth in opting to serve rather than surf on spring break is the opportunity for students to break out of their comfort zone and interact with community members, social justice leaders and other students who share many of the same interests, says Matt Mancuso (’15), a student leader for the WAB Chicago Urban Community Development trip. “WAB gives students the opportunity to break free from traditional volunteering, and explore new issues and areas of the country they have never been to before,” Mancuso says. Each group focuses on a social justice issue – such as environmental conservation or housing or food security – and the challenges that surround it. The WAB participants are a mix of students who volunteer with the Volunteer Service Corps (VSC), a student run service organization, throughout the year and students who are participating in their first-ever service project and trip. The WAB trip to Chicago worked with Casa Central, a community outreach center for the Hispanic population that provides senior citizen programs throughout the day and after-school programs for children whose parents work long hours. “We focused on a different challenge surrounding the Hispanic community each day of service and thought about solutions for how we can bridge the culture gap that many face in America today,” Mancuso says. As with all WAB groups, reflection is a major aspect of the experience. Every night, the student leaders facilitate a time for student volunteers to review the service they completed that day and the overarching challenges facing the community they served. Students from the Literacy Staycation working in the new El Buen Pastor garden. Visit the WAB Tumblr to see photos from all 10 trips. New this year, students wanting to stay and volunteer in Winston-Salem had the opportunity to participate in a Literacy Staycation. 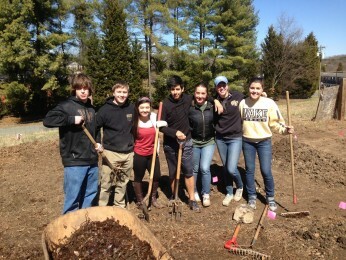 The student volunteers stayed on campus and volunteered at El Buen Pastor, a local Winston-Salem agency. The “Staycationers” not only tutored during their service days, but helped to build the beginning of a garden that will grow fresh, healthy food and provide a unique learning experience for the participating children of El Buen Pastor. Nora Kane (‘15) volunteered in Washington, D.C. and worked with D.C. Central Kitchen last March. This year, she wanted to gain experience as a leader and be more engaged with the agencies that Wake Forest serves throughout the community, so she decided to lead the group. “It’s a way to live out Pro Humanitate and serve the community right outside of our campus,” Kane says. Whether a student wants to head north or south or just stay put, WAB offers students the chance to lend a hand in places near and far during their spring break week.